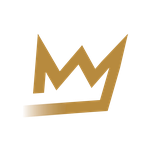 Support Center - RSVP Kingz - Does the AutoCheckout service fee include the retail price of the item? Click below to view our most commonly asked questions. ​>​ Frequently Asked Questions ​>​ Does the AutoCheckout service fee include the retail price of the item? Does the AutoCheckout service fee include the retail price of the item? Our AutoCheckout service fee does NOT include the retail price of the shoe. You pay our service to us, and the retail price to the retailer(s). My slot wasn&apos;t successful. When do I get my refund for the service fee? How does the whole payment process work? Can I purchase multiple slots for the same item?